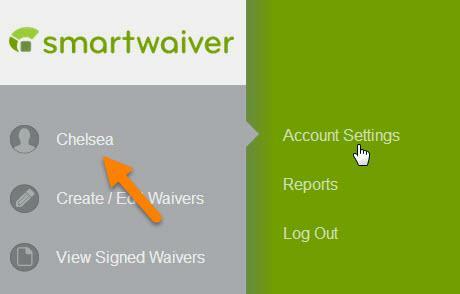 Waiver Console only - allows user to view signed waivers and participant information only. 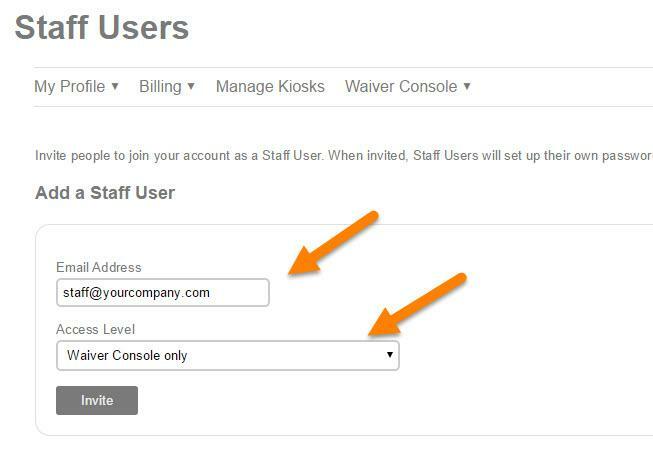 Waiver Console and My Waivers tab - allows user to view signed waivers and participant information AND allows user to edit existing waivers as well as create new waivers. Waiver Console and Smart Trends - allows user to view signed waivers, participant information as well as statistics and reporting. Waiver Console, My Waivers Tab and Smart Trends - allows user to view signed waivers, participant information, waiver editing as well as statistics and reporting. 1. 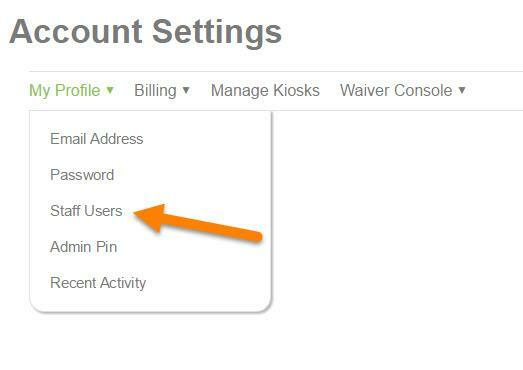 Once logged into your account, click on your Username and then Account Settings. 3. Enter the email address of the staff user you would like to invite, select the appropriate permission level and click on the Invitebutton. An email will be sent to the staff user requesting that they set up a unique username and password. Simply click the Delete button by the user’s name. Note: You will not be asked to confirm the deletion. If you delete a user in error, you will need to re-add them.